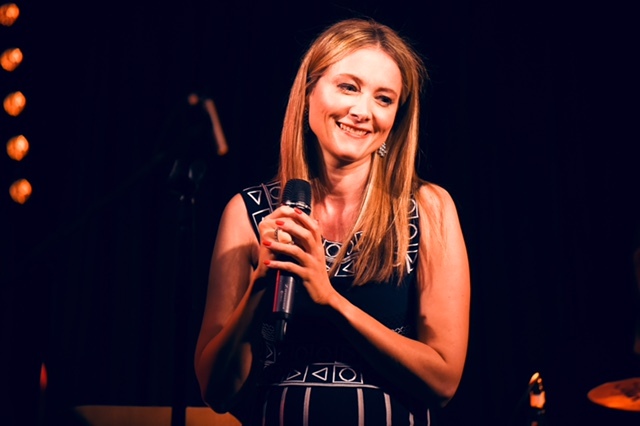 On Wednesday 8th June Miel de Botton will be performing for the GET LOUD Nordoff Robbins 40th Birthday celebrations at The Arts Club, Mayfair. With 300 events taking place across the country on Wednesday 8th June – all in the name of “getting loud” for Nordoff Robbins – it’s a surprise the whole of the UK didn’t reverberate from the sound of music. Nordoff Robbins is a charity that provides music therapy for adults and children and it’s a particularly special cause for Miel de Botton, who trained as a clinical psychologist, spent time as a family therapist and regularly speaks about her own healing through writing and performing music. 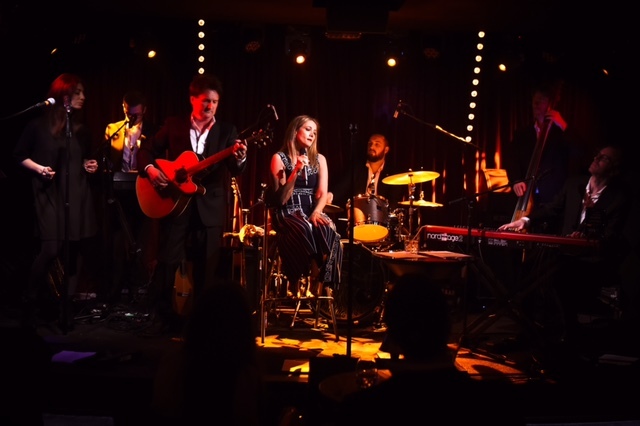 Keen to #GetLoud and “shout” about the valuable work Nordoff Robbins and music therapists do, as well as raise funds, Miel performed a sold-out show at The Arts Club, the prestigious venue on Dover Street, London. 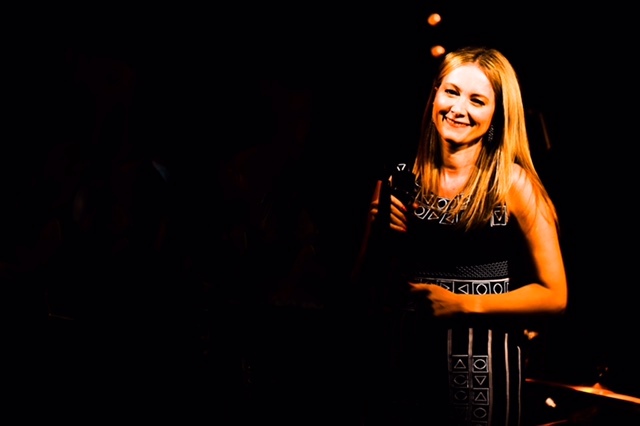 Andy Wright, Miel’s producer, opened the evening and introduced Miel and her band – Sam Swallow, Daniel Weston, Mark Jaimes and Gareth Davies – to the stage, with two new band members joining them, Hayley Sanderson (backing vocals) and Tim Sentance (sax and keyboard). A deeply personal and intimate performance, Miel shared her own stories alongside each song. She spoke of the catharsis experienced through writing and her own experiences on witnessing the work of Nordoff Robbins’ music therapists. Music therapy is about transformation and affirmation. It is through music therapy that Nordoff Robbins supports people with a range of challenges including autism and other learning difficulties, dementia, mental health problems, stroke, brain injury and depression. Some of those who have benefited from the extraordinary healing power of music therapy have a life-threatening or terminal illness such as cancer. Miel said, "Music can be a beautiful healer to so many and often, where words and actions fail, music speaks to the most vulnerable." The French classics Miel performed such as “Tous Les Garçons” and “Ma Préférence” took on new meaning as the audience later heard from Development Manager, Camille De Groote, that people suffering from dementia light up when they hear songs from their youth. The purpose of the evening – to celebrate the healing power of music – wove through the set as Miel and the band delighted the audience with French and English songs including “Vivement la Joie” – a song Miel wrote to call more joy into her life – and an inspired cover of Nina Simone’s "Feeling Good". 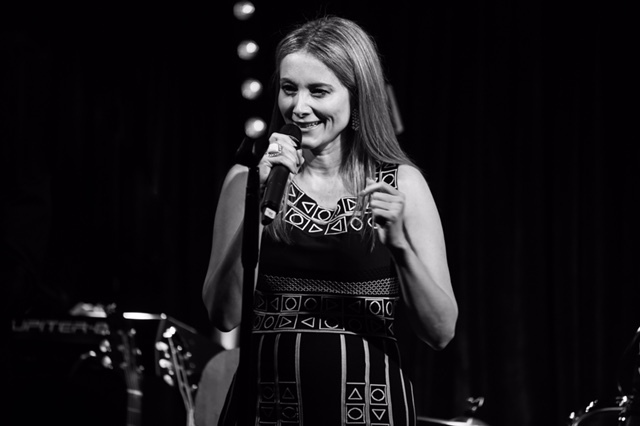 “Come on Baby” – Miel’s next single, coming out this summer – ended the set and Camille De Groote took to the stage to share two videos showcasing the work that Nordoff Robbins does through the stories of Ed and Claudia. Moved by the music and these stories, there is no doubt that everyone came to more deeply understand and appreciate the work of Nordoff Robbins and that music can be truly life-changing. Everyone then came together and moved to the dance floor thanks to chart-topping DJ MarcJB. Nordoff Robbins is the largest independent music therapy charity in the UK, dedicated to changing the lives of vulnerable and isolated people. Music is important to us all but for some, it’s a lifeline. Get Loud for Nordoff Robbins on June 8 and help change thousands of lives through music therapy. - Gaby Roslin, Nordoff Robbins Ambassador. The charity supports thousands of people in their centres by working in partnership with a broad range of organisations including care homes, schools and hospitals.